Blanche J. (Robichaud) Girardin, 85, of New Britain, died Saturday, Sept. 8, 2018, at an area convalescent home. Born in Hartford, the daughter of the late Daniel and Olivia (Cote) Robichaud, she lived many years in New Britain. A former employee of Travelers, she was the wife of the late Ralph R. Girardin. 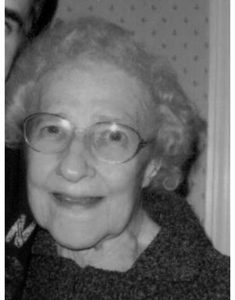 Mrs. Girardin is survived by two sons, Ken and his wife, Rose Girardin of Plantsville, and Alan and his wife, Mary Jo Girardin of Bristol; three daughters, Linda and her husband Rick Ruzzo of Old Saybrook, Terry and her husband, Vinny Crucitti of Hartford and Melissa Prisavage of New Britain; 11 grandchildren, 5 great-grandchildren and several nieces and nephews. She was predeceased by two sisters, Rita Skaparas and Jeanette Girardin, and several nieces and nephews. Funeral services will be held Wednesday, Sept. 12, 2018, at 9 a.m. from the Farrell Funeral Home, 110 Franklin Square, New Britain, with a Mass of Christian Burial at 10 a.m. at St. John the Evangelist Church, 655 East St., New Britain. Burial will follow in St. Mary Cemetery, New Britain. Visitation will be Tuesday from 5 to 7 p.m. In lieu of flowers, donations may be made to the Alzheimer’s Association Connecticut Chapter 200 Executive Blvd S. #4b, Southington, CT 06489. To send a condolence, please visit www.FarrellFuneralHome.com . Posted in New Britain Herald, on Sunday, 9 September 2018 20:45. Updated: Sunday, 9 September 2018 20:48.